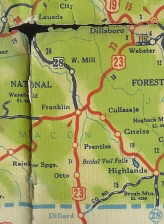 NC 286: An original state highway, running from VA 10 (current Lower Alarka Rd) south on SR 1304 Cold Springs Rd, then US 19-74 west, then NC 28 south to Franklin, then south along US 441 Business and US 23-441 to Georgia, except it used the lengthy "Old US 23" below Union and the other short "Old US 23's near Georgia. 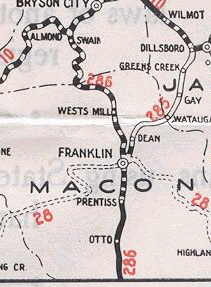 NC 286 below Franklin was renumbered as part of NC 285 about 1927. 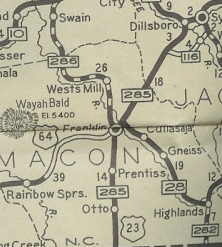 Around 1938, NC 286 was renumbered as part of NC 28. 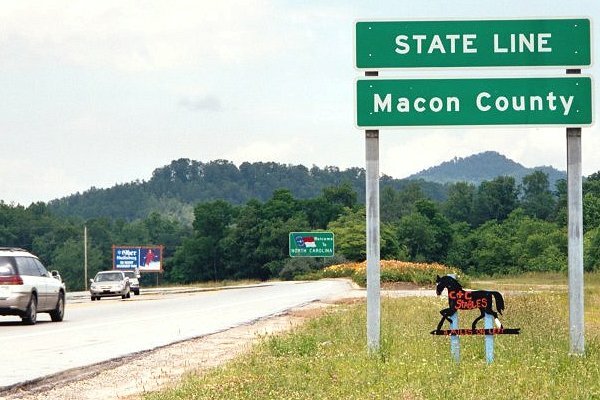 It is unclear if NC 286's north end was moved to the current NC 28 jct with US 19-74 or if NC 28 was assigned first.